Pentwater is perfectly positioned on the shores of Lake Michigan, Pentwater Lake, the connecting channel, and near many inland lakes, rivers, and streams. This is a freshwater fisherman’s dream. 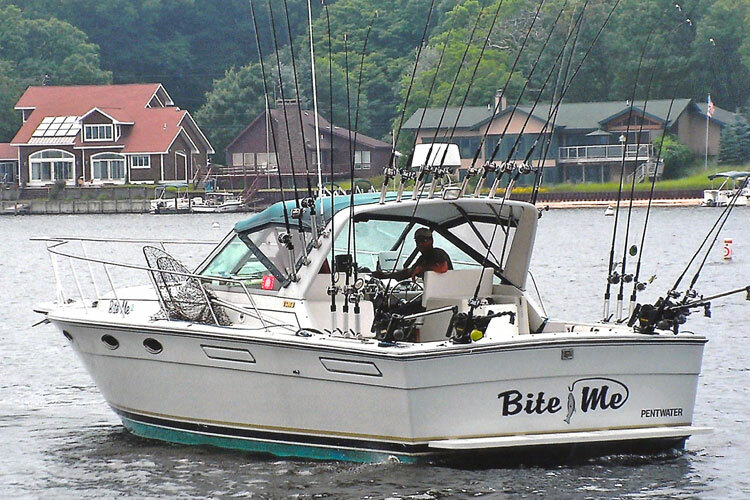 Visitors can easily book a Pentwater fishing charter for a day of Big Lake trolling, start each morning casting from the two piers lining the channel, or hire guided canoe trips to explore secret fishing holes in local rivers. Note: Pentwater Lake has 2 public boat launches. Local guide, Chris Bosse, is an expert on the region's rivers and inland lakes, and a day on the water with Hooked Guide Service is a stress-free experience - trips are all inclusive. We are Captain Skip & Toni Berry, a husband and wife team, happy to take your group out for a day of chasing down King Salmon or Rainbow Trout from our 33' boat.